Designed to meet industry needs, our programs provide a solid grounding in basic sciences, mathematics and computing, along with knowledge in various engineering application fields. 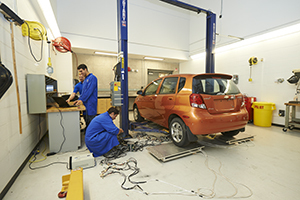 We offer programs through two departments, the department of Automotive, Mechanical and Manufacturing Engineering (AMME) and the department of Electrical, Computer and Software Engineering (ECSE). Click on a link below to learn more about a specific program. Note: If you are looking for information on our Nuclear Engineering program, it is offered through the Faculty of Energy Systems and Nuclear Science, an affiliate of FEAS. You can find more information about it here. 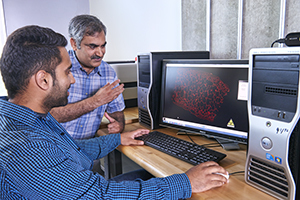 The only accredited program of its kind in Canada, our program prepares engineers to meet the need for advancements in the automotive sector by accelerating research and the development of alternative technologies, such as electric and fuel-cell driven vehicles. 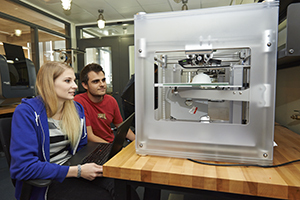 The only accredited program of its kind in Canada, our program is all about the design and improvement of high‑tech systems for the production and manufacturing of products. This includes the development and application of advanced technologies such as robotics, automation, new materials and intelligent controls. 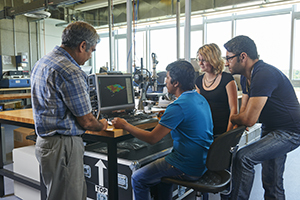 Mechanical engineering overlaps with other engineering disciplines – electrical, chemical, civil, computer and software, to name a few. It is interdisciplinary and one of the broadest engineering disciplines. 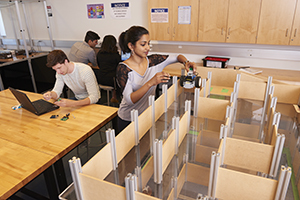 The Mechatronics Engineering program is an interdisciplinary engineering field. It integrates mechanical and electrical systems with real-time control, combining hardware with software to produce new devices such as consumer products, medical devices, high-tech automobile systems and robots. 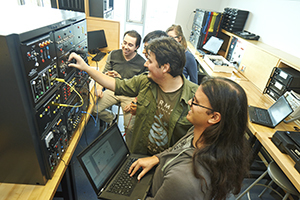 The Electrical Engineering program focuses on the design and development of electrical and computer technologies, and their component parts. The integration of electrical components into complex systems is also studied. You also have the option to specialize in Smart Grid. The Software Engineering program focuses on the analysis, design, development and testing of reliable and secure software systems, as well as the integration of software into complex systems and the timely and cost-effective delivery of software systems that meet changing requirements.